I love myself a clothing subscription service. Rent the Runway Unlimited*? LeTote? StitchFix? I adore all the iterations of having cool clothes come to my house, sourced by a stylist eons cooler than me. 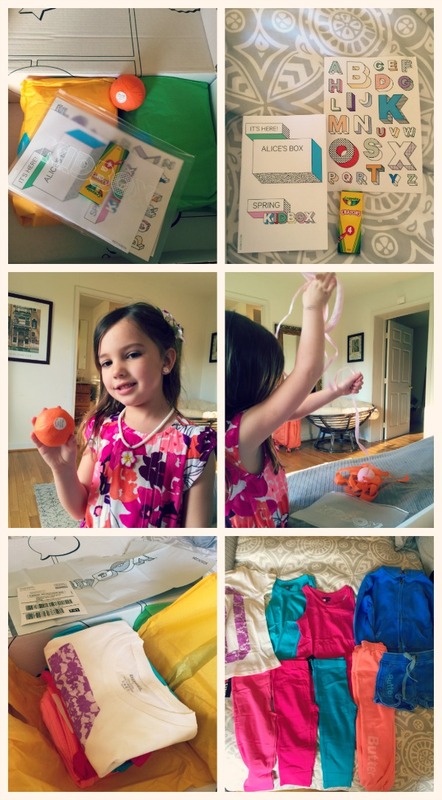 So OF COURSE we wanted to try the brand new Kidbox service. 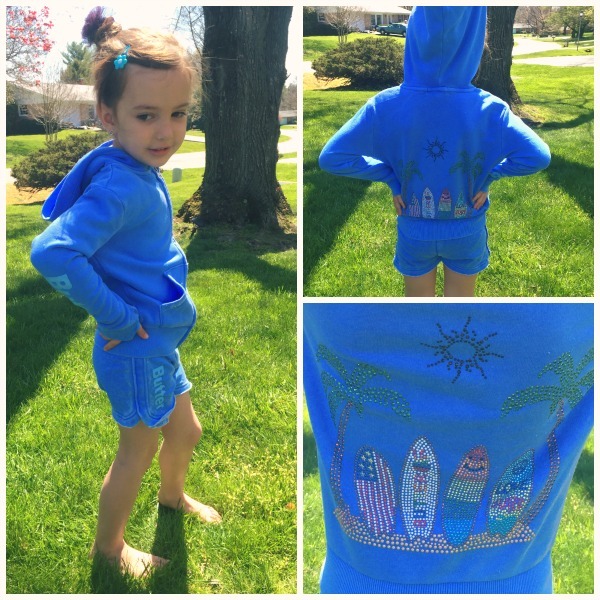 Kidbox curates on-trend clothes for kids ages 3-14 who wear sizes 4-14. Because of their access to clothing wholesalers, Kidbox can provide hip brands and unique clothing items to its customers at deep discount. 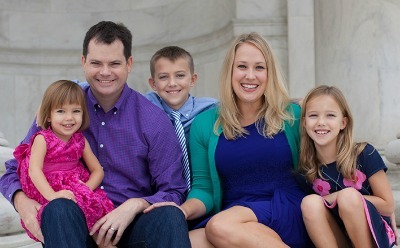 The idea is to save parents time and cash, and also provide a fun learning experience for kids. 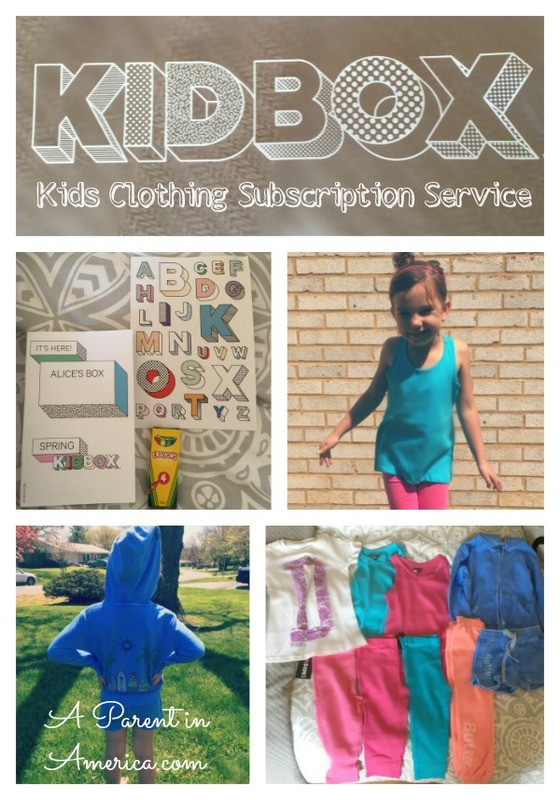 Kidbox provides 6-7 brand new, fabu items for your child for just $98. 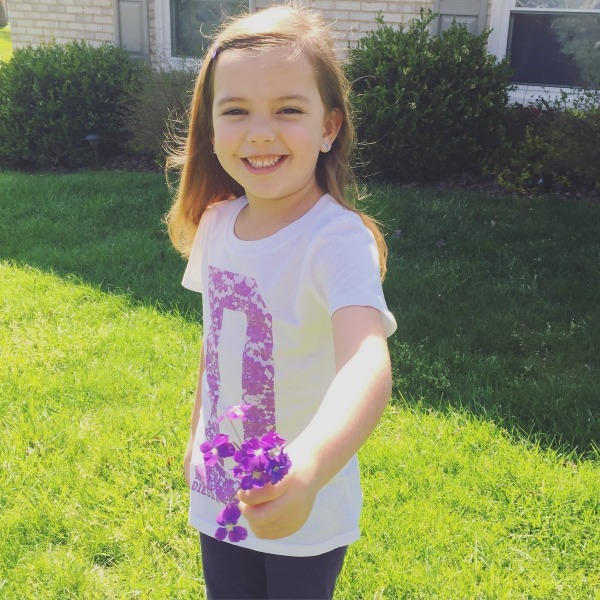 Alice and I used the website together to add her information so the Kidbox stylists could compile the perfect looks for her personality, needs and the spring/summer season. We entered her gender, age and size she wears. Then Alice had fun choosing her own style and describing her look. She went with “Chill/Sporty” as her style, which was news to me (she lives in dresses) but I loved how Alice had the opportunity to define herself and try something new. 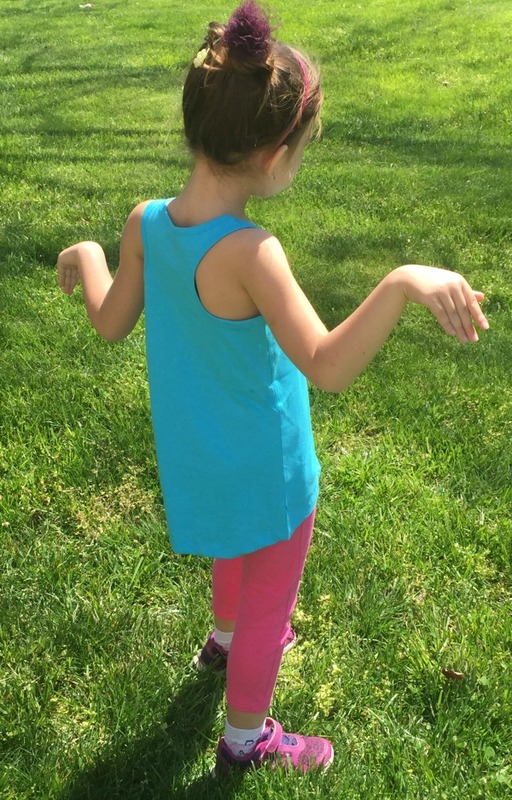 She self-described as “chatty,” “active,” “artistic,” “silly” and “bookworm.” Although Alice did not have any looks she wanted the stylist to avoid, we appreciated how this option was there for kids who do not like dresses, or tight fitting clothes, or other preferences. Then we entered our mailing info and hit send. Although I entered our payment info, your card will not be charged until you have personally decided which items you would like to keep. You have 7 days to decide, and there is free shipping for families both ways. You can keep none of the clothing items, ship them back in the provided package and pay nothing, no problem. Or you can choose to keep one, two, etc. or all. Totally your world. Just two days later, Alice’s Kidbox arrived. Not only did it contain crazy-cool clothes, it was packed with presents and goodies for her! She received an activity book, letter stickers, crayons and a “surprise egg ball” that she unwound to reveal three Cracker Jack-style prizes inside. This was an awesome value for $98! I looked up these items by the same brands online and my retail total came to $195?! Best of all, Alice felt that she both chose these items herself like a “big kid” and that these were special presents selected just for her and her new sporty persona. She has worn all of these items to preschool without any complaint (a new concept…our mornings can take awhile) and goes to these pieces first in the mornings. Score! 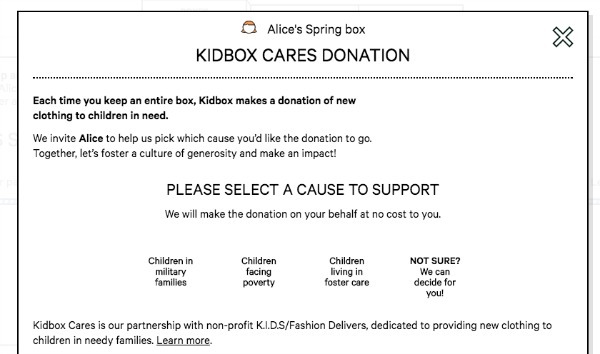 If you order a Kidbox and, like us, elect to keep all the items sent to you, KidBox will make a donation to K.I.D.S./Fashion Delivers (the biggest fashion non-profit) to donate new clothing to needy kids. And you and your child can decide together exactly where your donation will go and which of the featured causes your family will support. The list of specific causes changes as often as community needs shift and when there are new disaster relief efforts. Alice decided she would like her donation to go to kids in foster care, as the foster care system is something we were just discussing together after seeing Annie on the stage. She took her decision very seriously and it made her appreciate her own clothing even more. 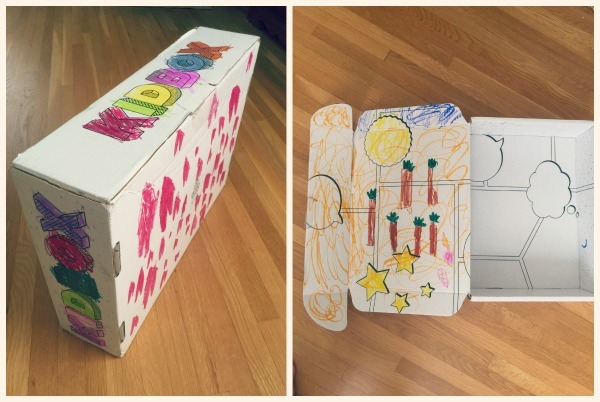 Try Kidbox yourself, you’ll love it! 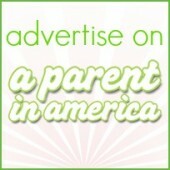 This post is a sponsored partnership between A Parent in America and Kidbox, in conjunction with TheMotherhood. I received product and compensation in exchange for this review. All opinions are my own. * Get $20 off RTR Unlimited with that affiliate link.